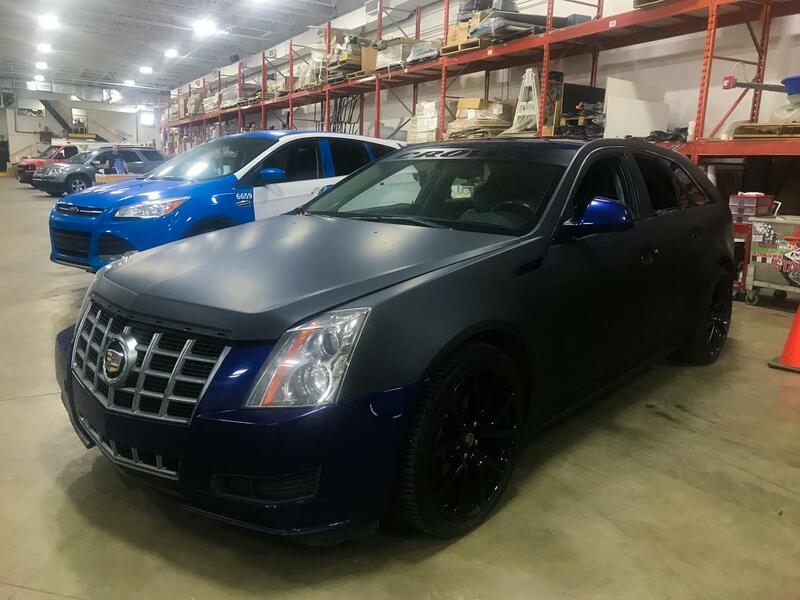 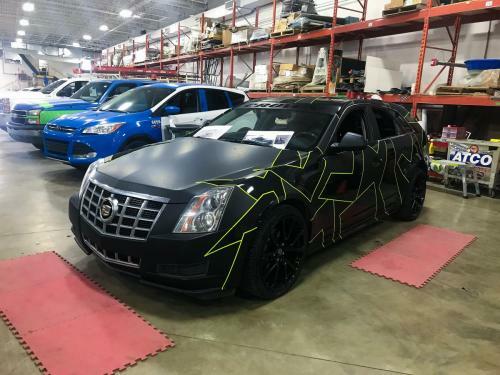 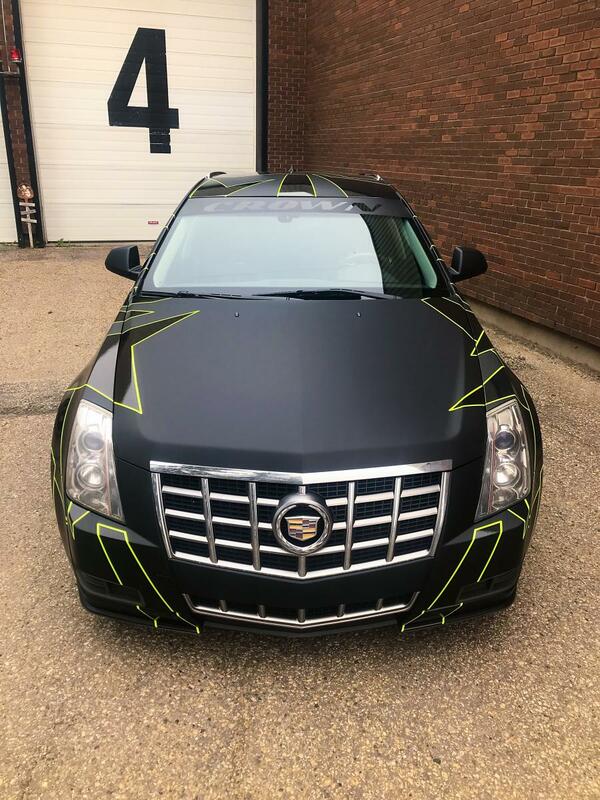 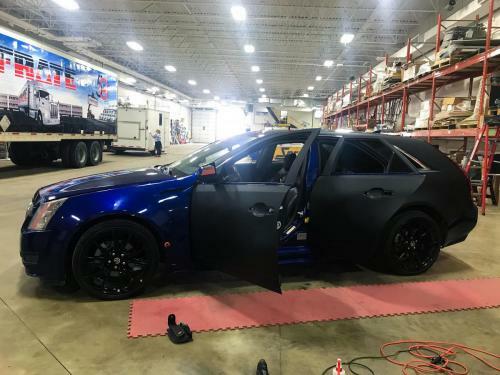 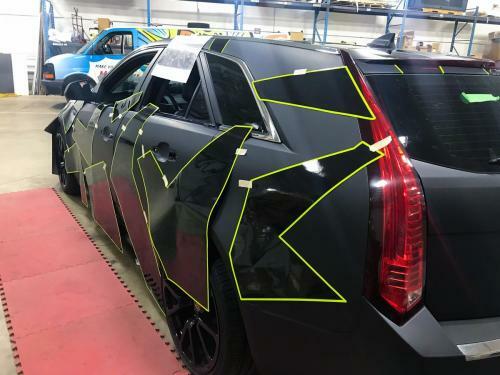 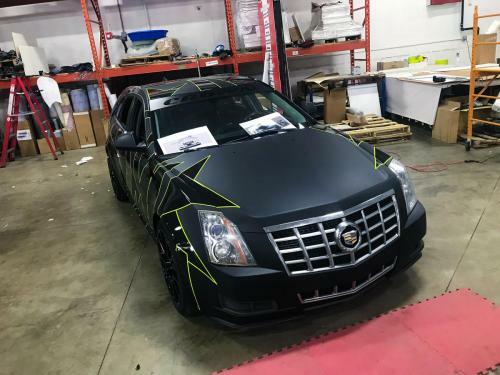 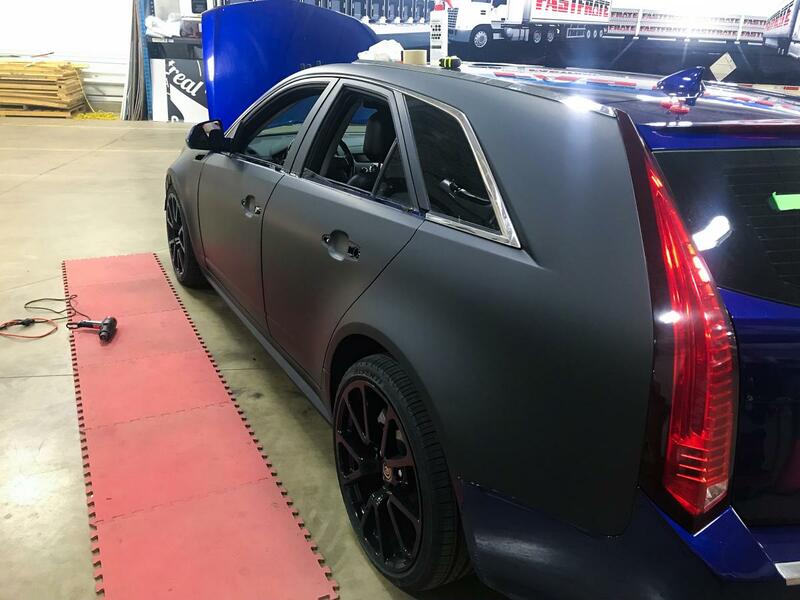 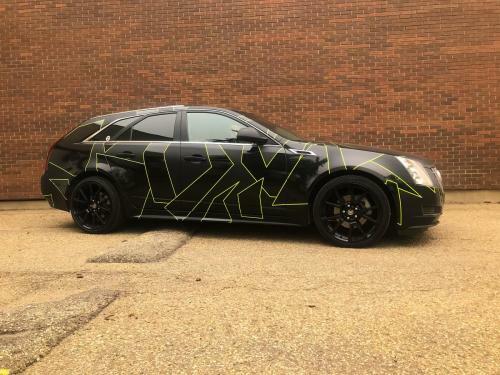 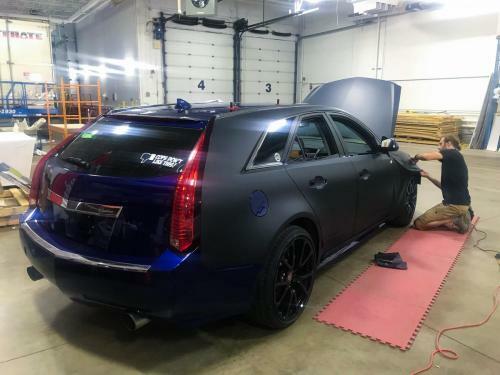 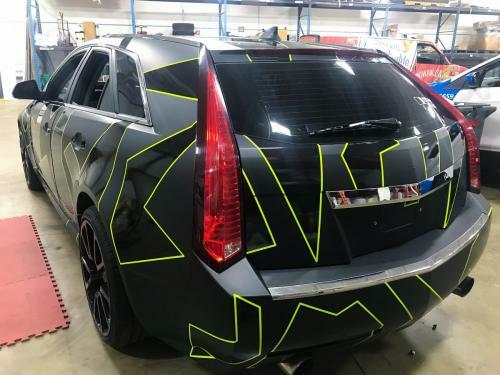 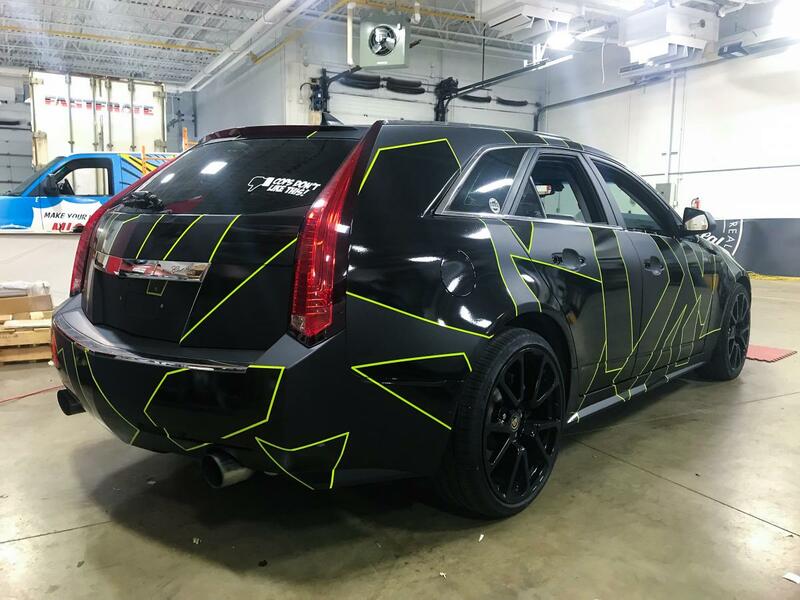 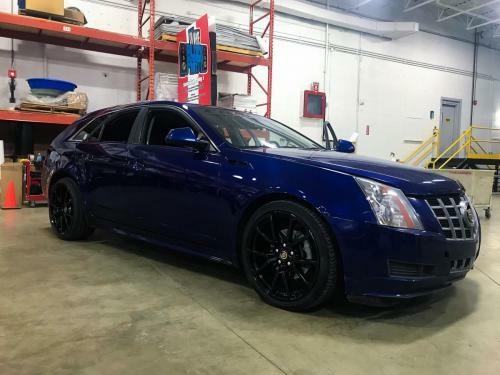 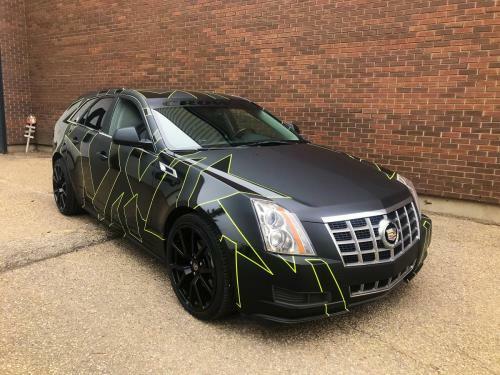 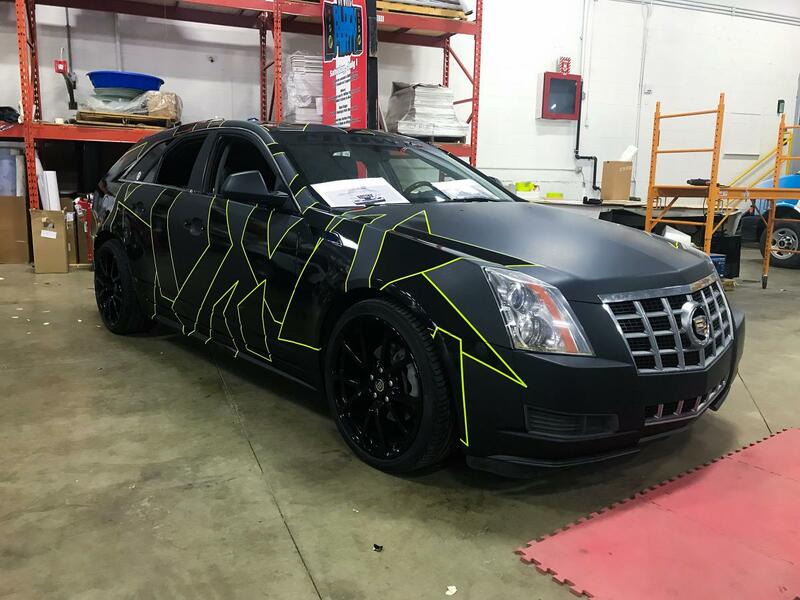 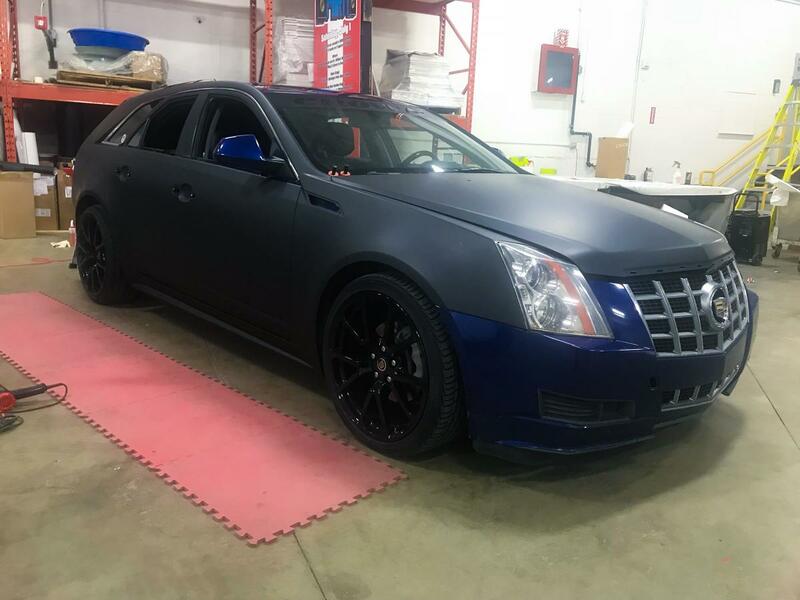 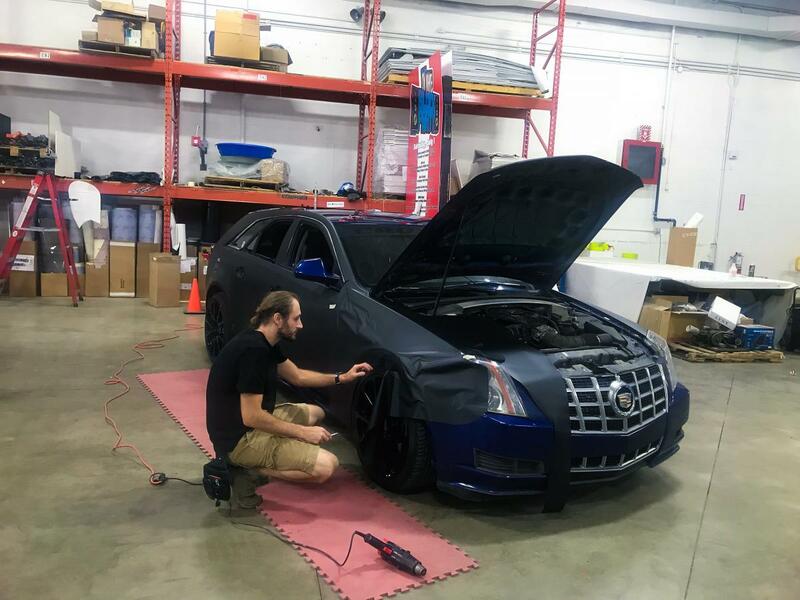 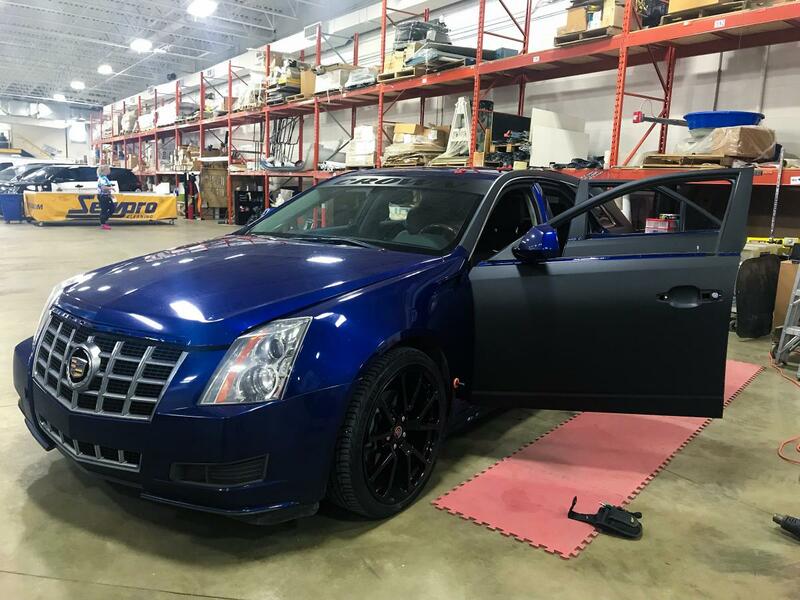 Fresh out of the install bay; a positively stunning Cadillac CTS wrap for Canada’s Crown Tuners! 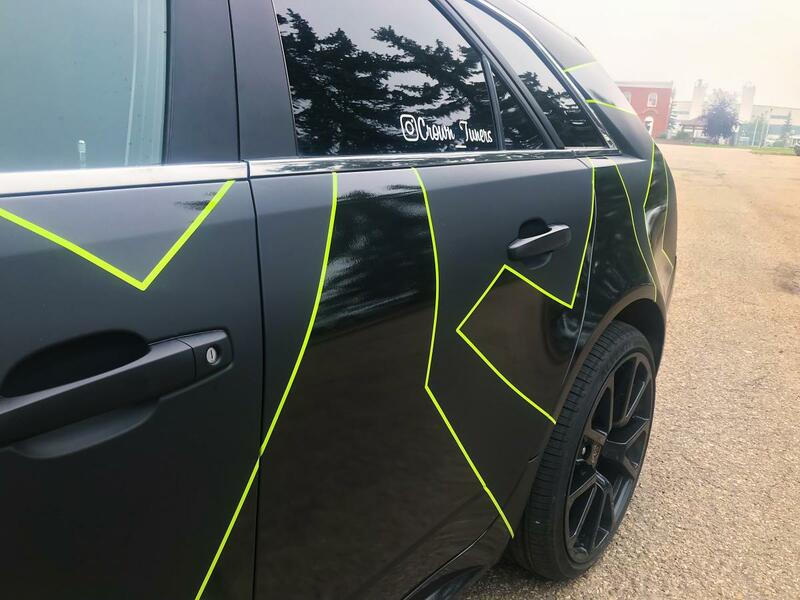 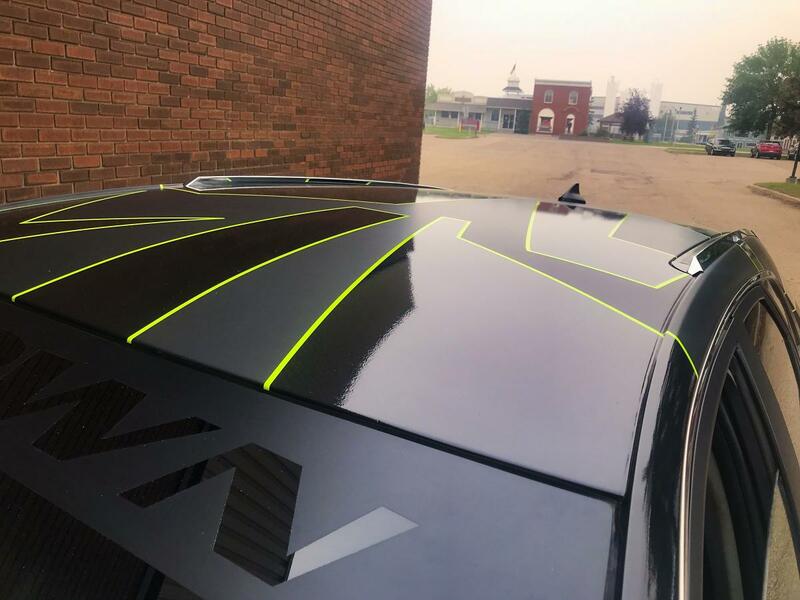 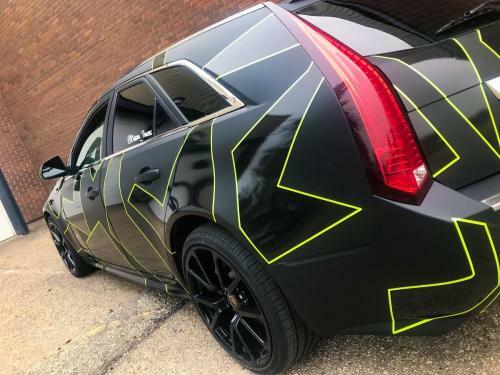 Originally, a dark blue with slight paint abrasions and swirl marks, all exterior panels were wrapped with a 3M Matte Deep Black vinyl, refreshing the base colour to a flawless stealth black before applying printed black and green, gloss-laminated geometric camo panels. 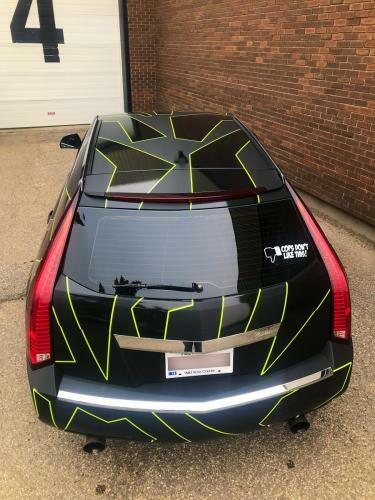 The effect is exceptionally eye-catching! 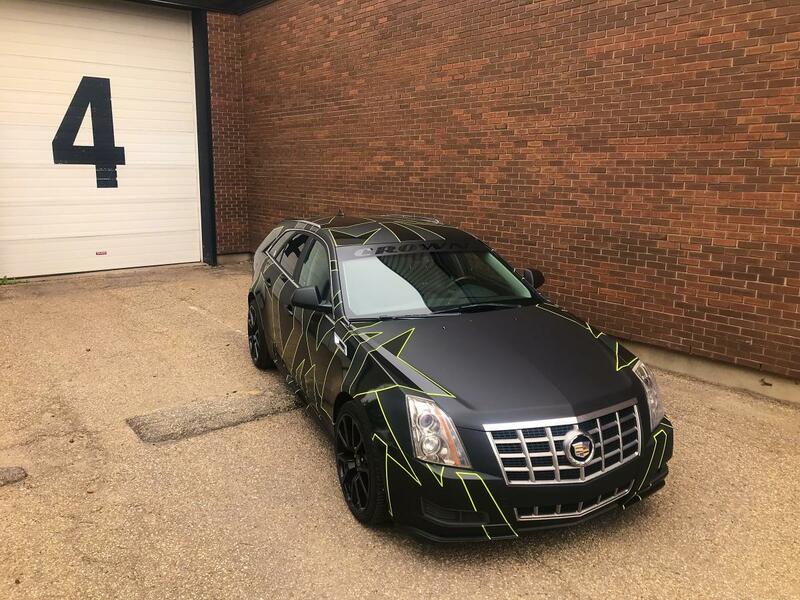 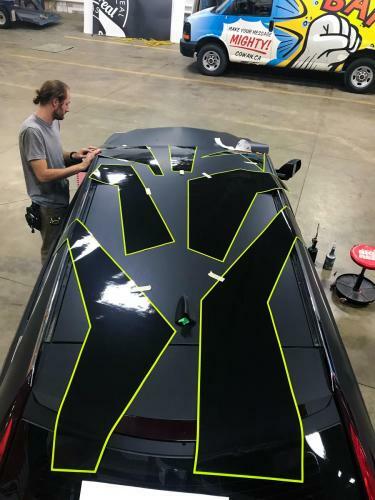 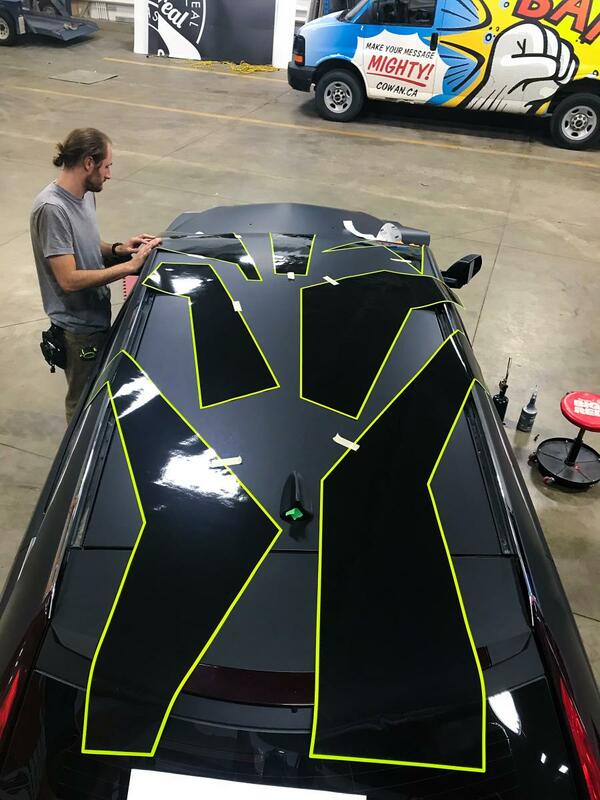 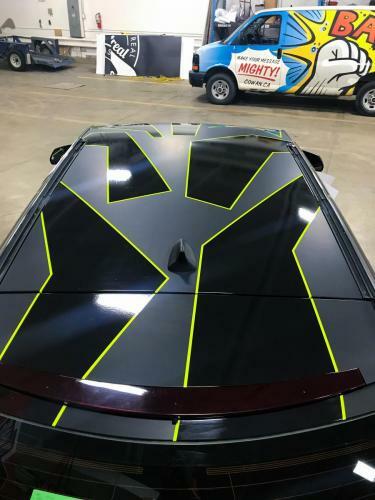 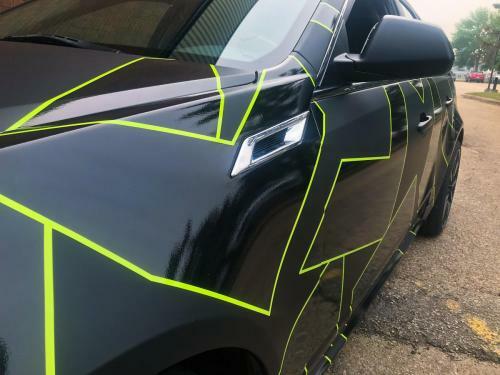 The variety of gloss and matte textures create a reflection-less, light absorbing base texture that mutes all body lines while the pops of green and gloss black accentuate every detail of the CTS body underneath, giving the effect of an “initial” black paint job peeking through. 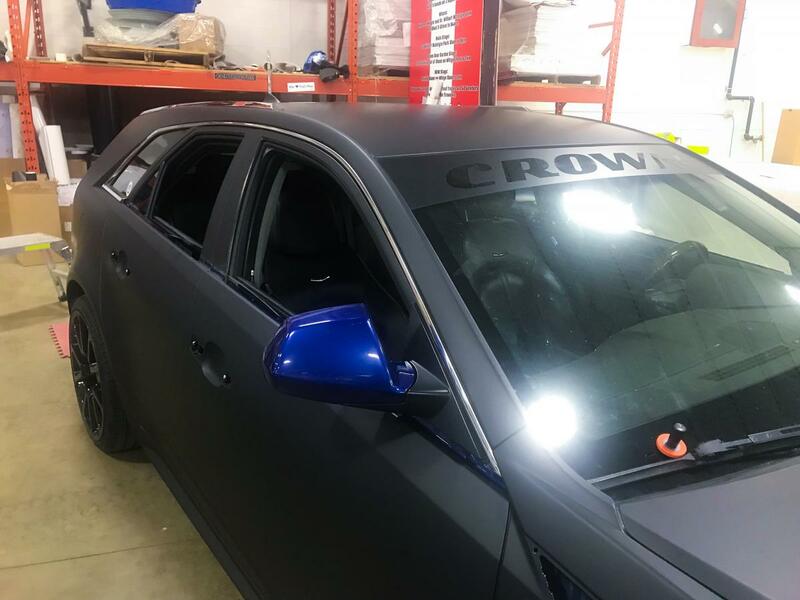 We are certainly looking forward to seeing this vehicle on the road and in future photo shoots care of Canada’s Crown Tuners! 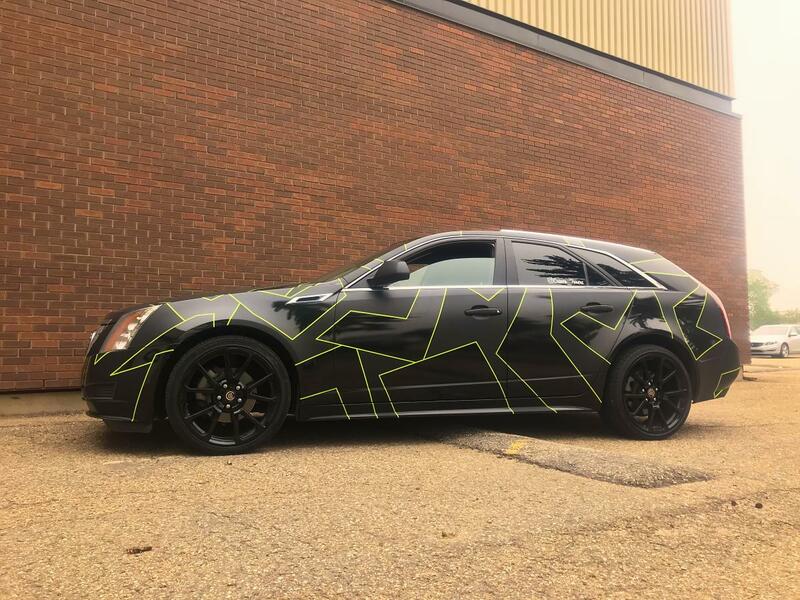 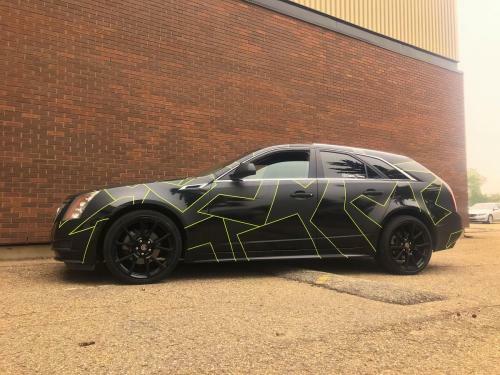 Coinciding with our completion of this CTS, Crown Tuners & Cowan Graphics have teamed up to host (our first ever) Car Meet in the Cowan [Edmonton] parking lot September 8, 2018, 5pm -10pm, benefiting the Mental Health Foundation of Alberta. 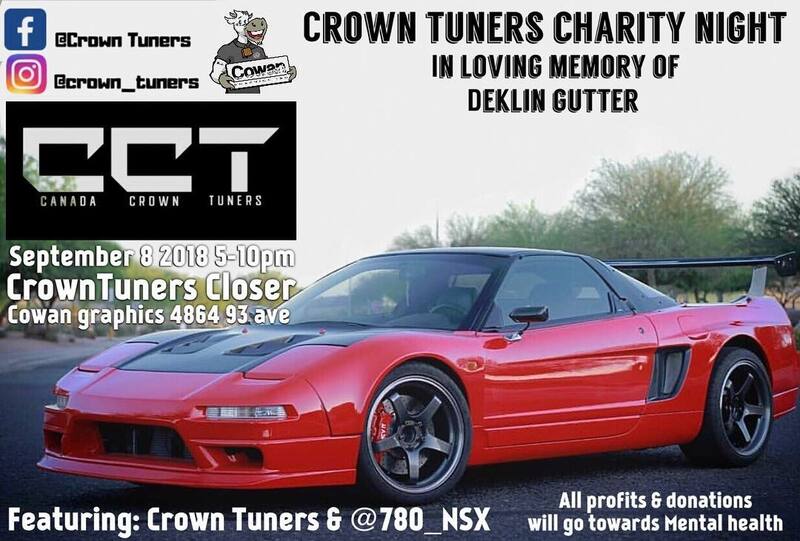 There is no cost to attend, but donations are encouraged. 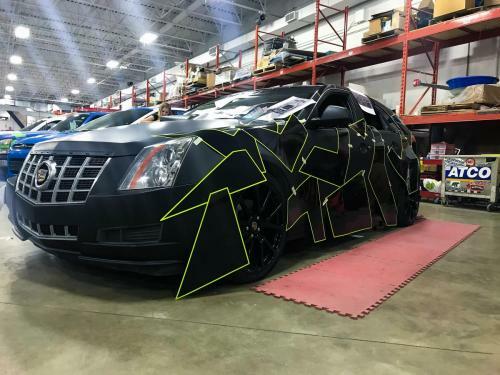 Come through to see what some of the local tuner scene is doing to their rides!